Who needs an Industrial Shredder? Anyone who reduces a high volume of voluminous waste material that would benefit by reducing it to a smaller particle size. For example, companies who use these include UPVC Frame Manufacturers, Pallet Suppliers, Waste Contractors and Recyclers. In addition, it may also be worth considering a Screw Compactor, Static Compactor or Jumbo Roll-Packer. What size is the shredder? How is it powered? 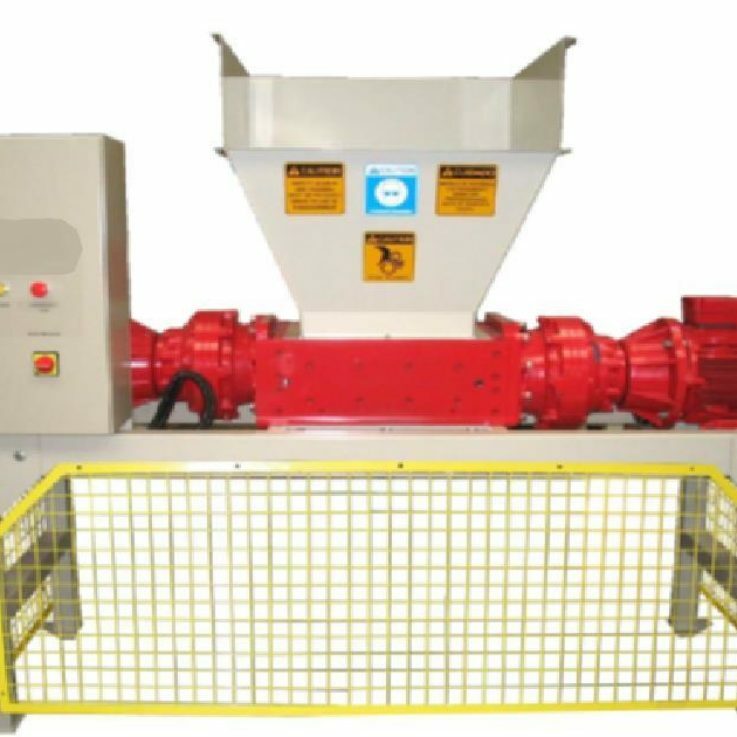 WHS supply a wide range of shredders with various sizes and motor powers depending on Feed Aperture, Shredded Particle Size and throughput. All our Shredders require a 3-Phase Electrical Supply. However, if you require a smaller shredder please see our Document Shredders. Our WHS Industrial Shredders are available to purchase or hire.